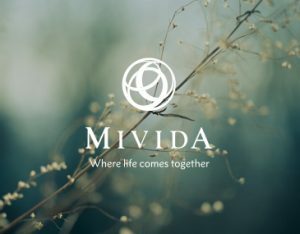 Mivida is a fully connected community with special attention paid to the fine details to provide you with the complete luxury experience. It is located in New Cairo. Mivida’s has playgrounds, club houses, a large Central Park, and a Lake District. 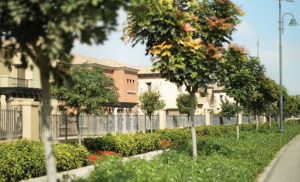 In Mivida you’ll have a complete community with schools, medical facilities, a Business Park, a business hotel and the thriving Mivida Downtown that includes shopping and leisure destinations. 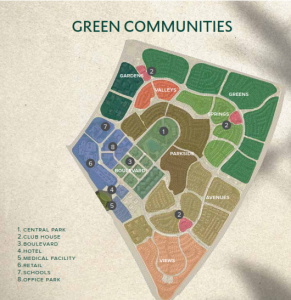 Mivida is also Eco Friendly, it is a solar lighted community that includes two natural green valleys that have been left undisturbed to welcome residents with a beautiful view. Walkways and seating areas have been carefully placed, to enjoy your surroundings. 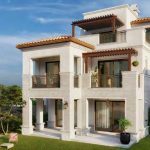 Mivida offers elegant villas, townhouses, and apartments that are delivered fully finished or furnished with views that overlook large green areas. Emaar designed Mivida for you to escape the noise and hustle of the city without compromising on the city life.